Lot Detail - General Dwight D. Eisenhower's Staff Car Flag With Letter. General Dwight D. Eisenhower's Staff Car Flag With Letter. 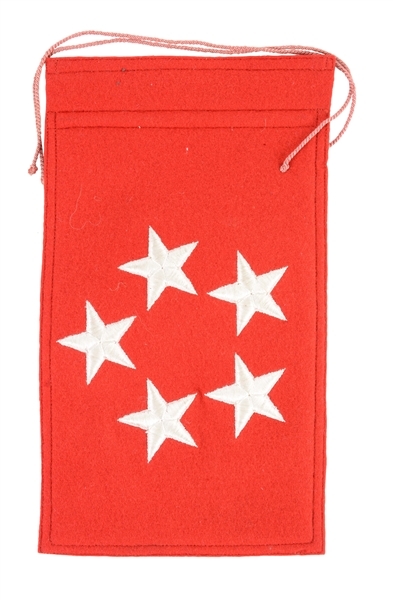 General Eisenhower's personal five star general's staff car flag, measuring 10" by 5-3/4". 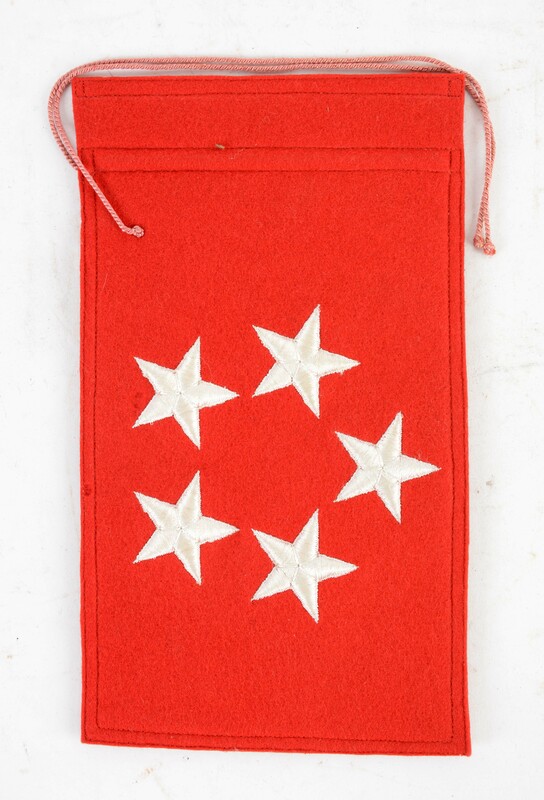 The red wool flag bears five white stars embroidered thereon in a circular pattern with a sleeve at one side so that the flag may be slipped down a pole at the front of the staff car, with two cords used to further secure it. Ike was awarded his fifth star on December 20, 1944 - just in time for the Battle of the Bulge. Given by Eisenhower to Col. Ernest "Tex" Lee, Eisenhower's Executive Officer and Aide de Camp who brought it home with him at war's end. 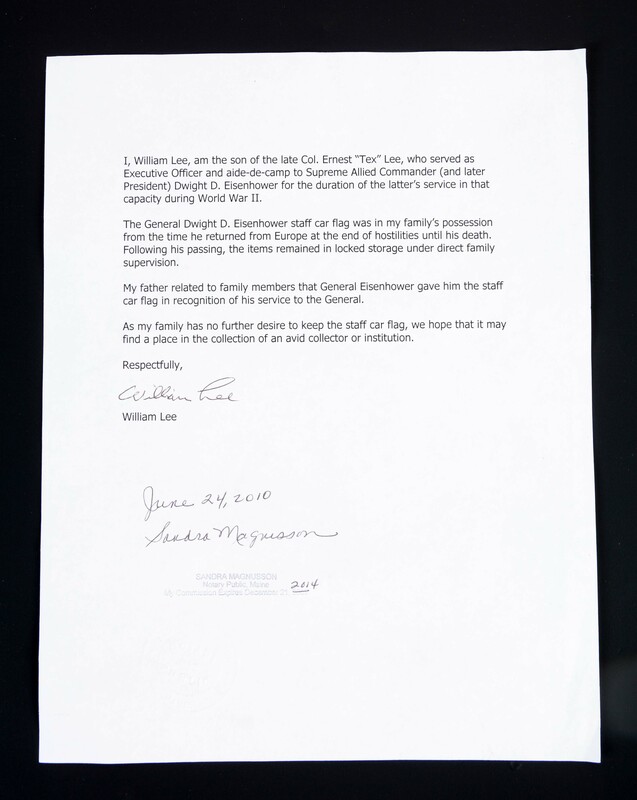 Accompanied by a Notarized letter from Lee's son indicating that Col. Lee had stated to his family that he had obtained this flag directly from Eisenhower during the European war and that it has remained in the family since that time. CONDITION: Near perfect. From the Ray Bentley Collection. Item Dimensions: 10" x 5 - 3/4".